We are a proud member of the Student and Youth Travel Association (SYTA), American Bus Association (ABA), and the Better Business Bureau (BBB) with an A+ rating. Chicago Field Trips is your online gateway to an urban paradise, the easiest and fastest way to book a student or group trip to the Windy City! Our company consists of a collection of 7 different group travel based websites, our experience and expertise ranging in many different specialty trip categories including cruises, religious trips, volunteer experiences, historic excursions, and many more. 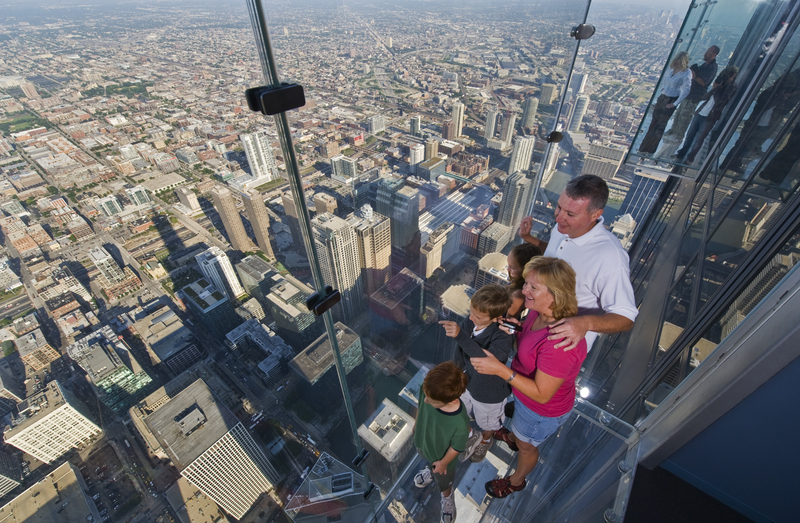 At Chicago Field Trips you will find the most comprehensive range of Chicago city adventures, all arranged by suggested age group and focus of attractions. Choose between educational trips, graduation trips, fun trips, or 1-day field trips, all featuring the absolute best Chicago has to offer. Our company realizes that these trips are often once in a lifetime experiences that provide unforgettable memories, so our number one goal is customer satisfaction. We will provide the highest quality of personalized service for the most reasonable price, as you will see. If you and your group would like to experience the skyscrapers, shorelines, and cityscape that compares to no other in the world you may call toll free, fill out a request form on the side of our website, or chat live with one of our talented travel coordinators today. After you’ve made contact with us and have told us exactly what you want on your trip it’s time to relax and let us do the work, giving you the easiest and overall most fun Chicago Field Trip Experience possible. There are so many different ways to see Chicago, take advantage of all the options for cruising the Chicago River and Lake Michigan while here. Seadog Extreme, Chicago Neighborhood Tours, and Foundation Architecture cruises will all provide great, fun service for your group. If you are taking a flight into the Windy City be sure to take advantage of all O'Hare has to offer, including luxurious airline lounges, many unique local and national restaurants and cafes, relaxation opportunities including a yoga room, numerous spas, and an urban garden, as well as many boutiques, gift stores, and newsstands. Take a ride on the famed Chicago 'L' Elevated Train while in the Windy City, the 4th largest transit system in the nation that serves over 725,000 people each day. Use the L for cheap city transportation, for getting to different surrounding cities, or just to have the experience! Head over to the Chicago History Museum or Navy Pier to find many options for tours, including Neighborhood Tours, Architecture Tours, and Shoreline tours. There's something for everyone within this big city, and we'll help you find the perfect tour to see it all. From Giordano's to Bubba Gump Shrimp Co, we have you covered with some of the best, most authentic, and absolutely most delicious food in Chicago. Let us plan each meal for you, or you can tell us exactly what you want while here! Our travel experts will work to find you the most suitable sleeping accommodations, finding all the best 3 to 5 star hotels for you to relax in every night. Your ultimate comfort and enjoyment is our number one goal!